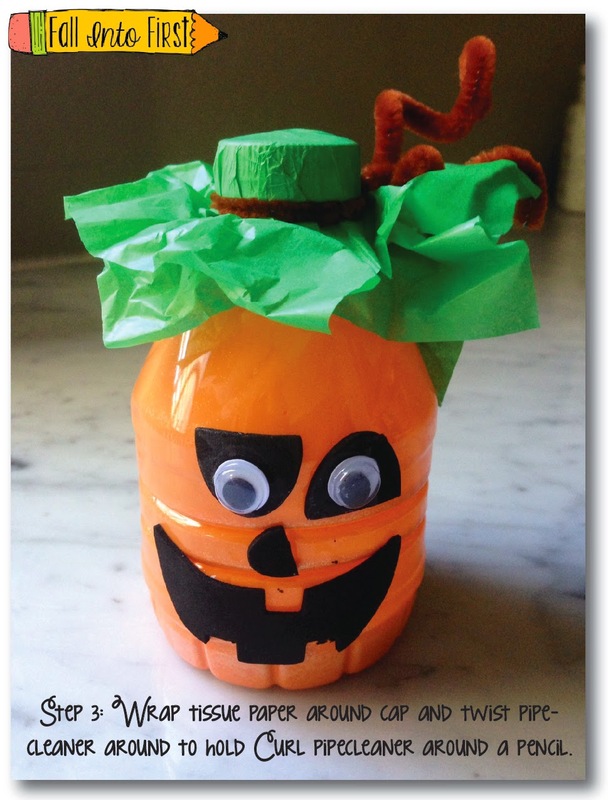 Fall Into First: From Seed to Pumpkin! We have adopted Journeys Reading this year and part of Unit 2 is using the book From Seed to Pumpkin by Wendy Pfeffer. YAY, a "REAL" book! We were given a class set of the book so we will be taking a small break for our weekly reading stories to focus on this book. 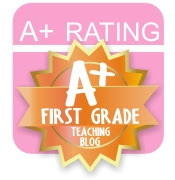 We have some fun activities planned and I am so excited to take a break from our normal reading routine. 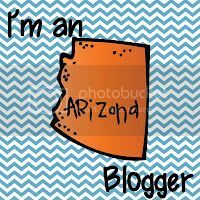 I have been working on creating this new little packet to help. Note: This is NOT a Journeys packet so if you don't have Journeys you will LOVE it! 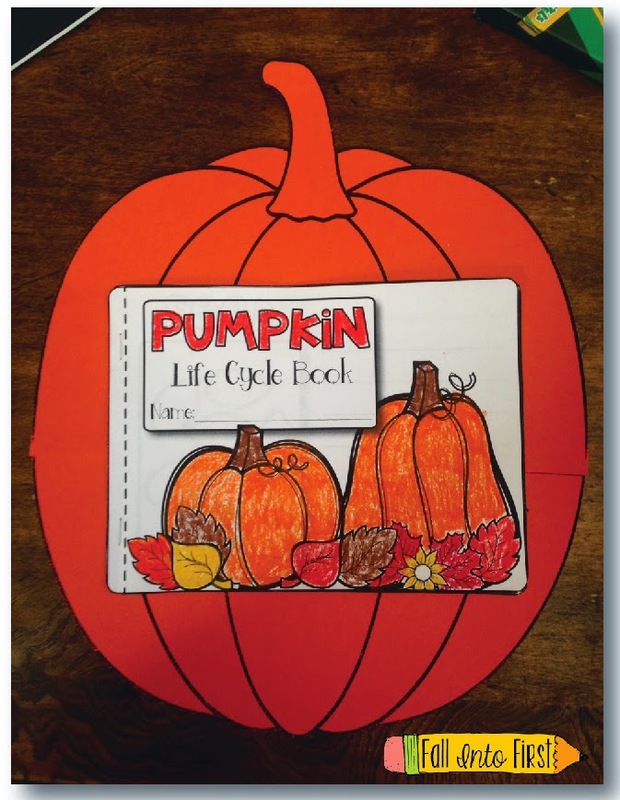 We are then going to work on this little Pumpkin Life Cycle Book. 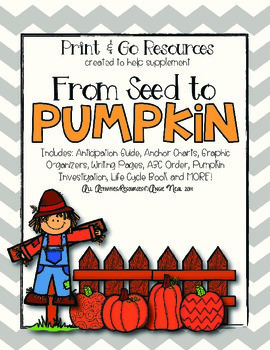 I included pages for seed, sprout, vine, flower, green pumpkin and orange pumpkin. 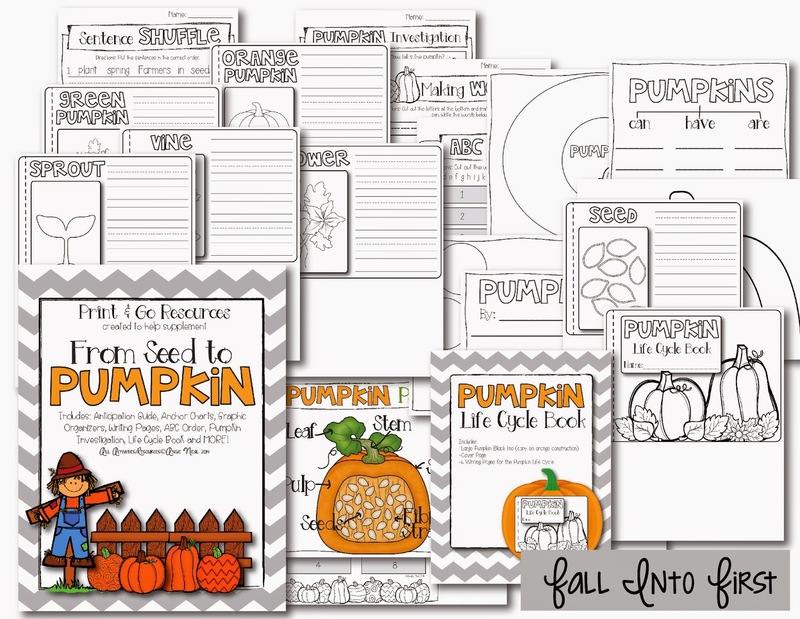 I also have included several graphic organizers, writing templates, vocab activitiy, ABC Order, Pumpkin Parts, Sentence Shuffle and a fun Pumpkin Investigation activity. I had to get his Giant Pumpkin Puzzle from Oriental Trading. 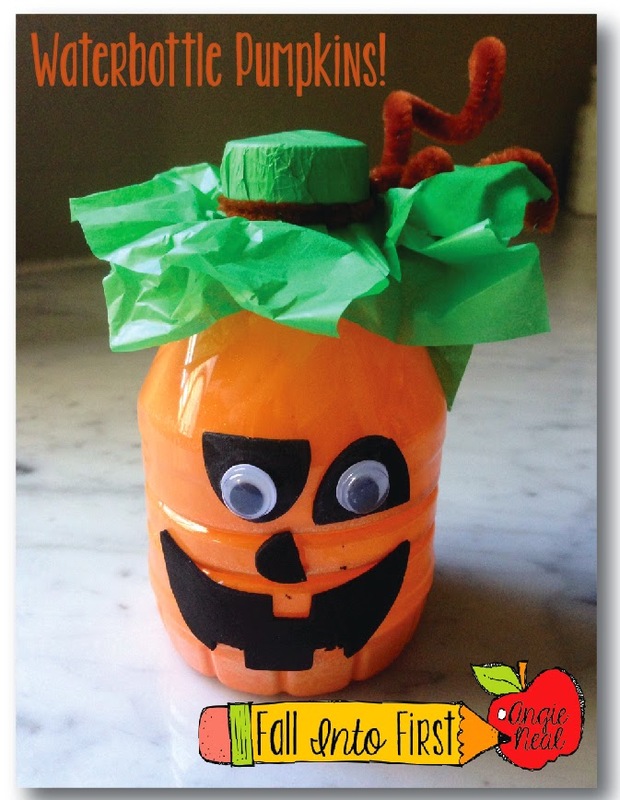 It was cheap and will make a FUN October/November Bulletin Board. 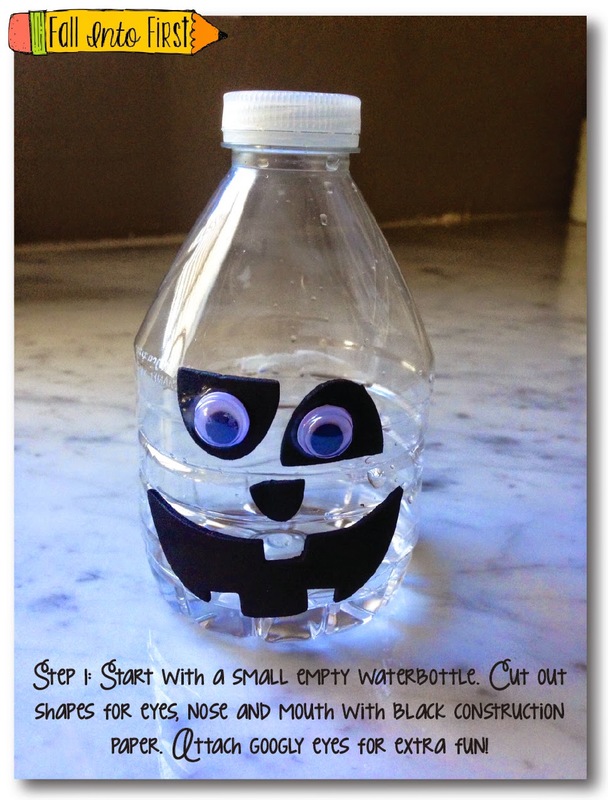 We are going to finish our Pumpkin Unit by making these cute little waterbottle pumpkins! My daughter and I made this little guy today, SO CUTE and so simple with very little materials needed. 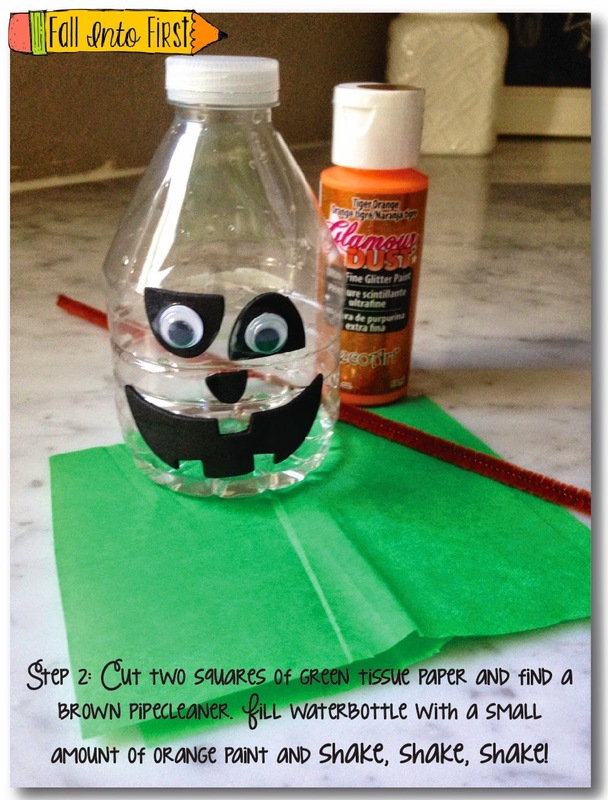 Here are the steps if you are interested in making this with you kiddos. After pumpkins we are on to OWLS! I ordered my Owl Pellets today!